This page is dedicated to Sealed Knot events both large and small which could be happening near where you live or are visiting. Please check back frequently as more events are organised throughout the year and further information about the event is available on the Sealed Knot website. THIS PAGE IS UPDATED REGULARLY. 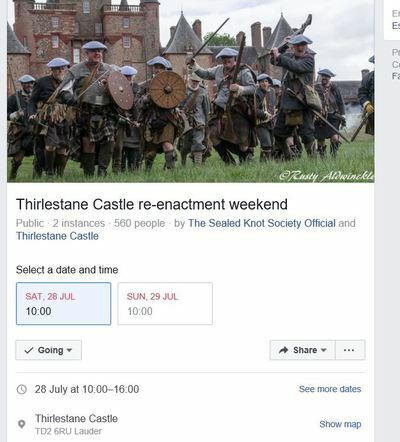 Sizes of events do vary from just a couple of dozen to thousands of re-enactors taking part. So please be aware of that although the larger events will be indicated.